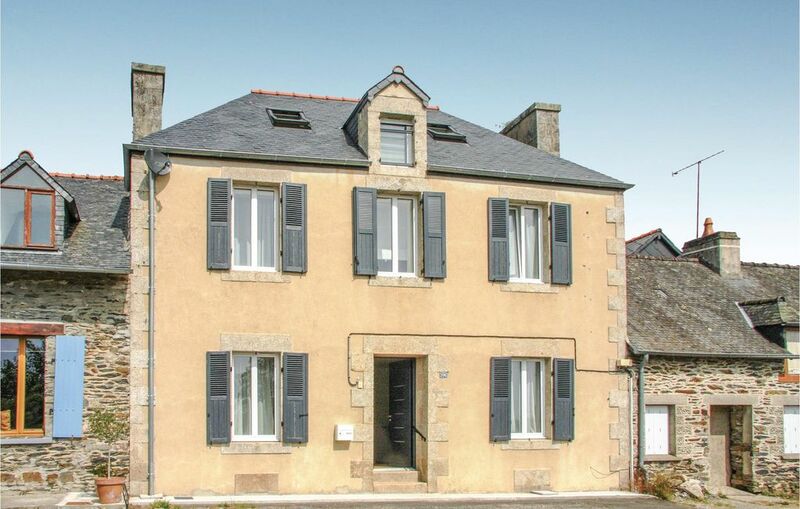 This large traditional Breton house has been lovingly renovated and has a 'boutique' feel to the spacious bedrooms, two of which are ensuite, including the one on the ground floor. With high ceilings, a light and airy feel and quality fittings throughout, this is a wonderful house for discerning adults and families to enjoy. The secluded terrace area is ideal for al-fresco dining, and the garden, situated across the village road is great for barbeques and supervised children's play. The house is situated only 2km from the Lac de Guerledan with its sandy beaches and a range of watersports and amenities. A short walk will take you to the village centre for your morning baguette, basic shopping needs or to enjoy a meal in one of the restaurants. You could also watch the amazing 'Son et Lumiere' show at the Abbaye de Bon Repos, situated on the banks of the Nantes-Brest Canal or enjoy the Farmers' Market there in the Summer months. An easy drive to the northern or southern beaches of Brittany, will offer you a great day out at the seaside. French channels only.